The Pacific Marine Circle Route connects some of Vancouver Island’s best coastal scenery with some often overlooked inland natural wonders within a day’s drive of Victoria, British Columbia. Beginning along the north shore of the Strait of Juan de Fuca, this coastal route soon starts revealing glimpses of rugged coastlines and occasional beaches. 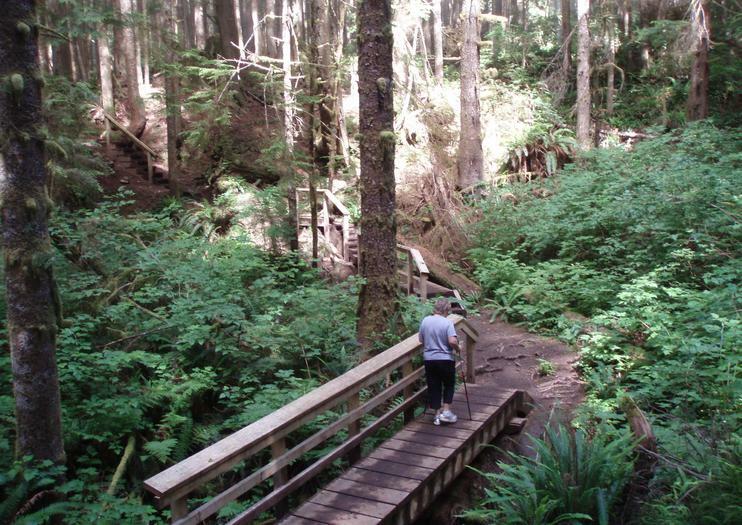 The Juan de Fuca Marine trail runs parallel to the highway; however, it’s mostly hidden from view by thick forest. These beaches are common surf breaks, too, but the waves are best in winter and the water is cold no matter the season. Once the route turns inland, it passes two iconic trees. Short hikes lead to both the San Juan Spruce and Red Creek Fur. Finally, the last major landmarks before rejoining the TransCanada highway are Cowichan Lake and River. Both are popular swimming locations in the summer, but the river is definitely busier because locals use its current to drift downriver in inner tubes. The Pacific Marine Circle Route is 289 km long. Visitors typically spend anywhere from 1 to 3 days exploring its natural wonders. It is a minimum of six hours driving.